Cervante Pope | 11/1/2016, 4:56 p.m.
Nearly 70 years of Gordly family history and memories live in the walls of their childhood home at 4511 N. Williams Ave. Historical pictures (clockwise, from left) show parents Beatrice and Fay L. Gordly; the family’s red couch where brother Tyrone Gordly sits next to his sisters Avel and Faye, Faye’s new born daughter Michelle on her lap and Avel’s young son Tyrone; Jefferson High School students sitting outside the home after an educational tour; and Avel and Faye as children. On North Williams Avenue sits the childhood home of Oregon’s first African American female senator, Avel Gordly and her sister Faye Burch, a small business owner and advocate. The home has remained in the family since its purchase in 1949 and remains an important piece of the family’s history. Gordly and Burch recall a time when the neighborhood was the center of African American culture and predominately populated by black people – a history that newly developed condos, brew pubs and boutiques have seemingly erased. The seed to make the home a community space happened during a bus tour organized two years ago to showcase the continual changes to the historically black neighborhoods along the Williams and North Vancouver Avenue corridors. “We didn’t want to be a part of this change; we wanted to do something to support the community that’s there,” says Burch. “We had no interest in selling out to the highest bidder who would turn it into a doggie daycare or an ice cream shop,” adds Gordly. After discussions with the PDC and other potential partnering organizations on the possibility of their former home becoming an African American cultural center, the sisters’ idea eventually worked its way to Mayor Hales, who expressed full support of their concept. 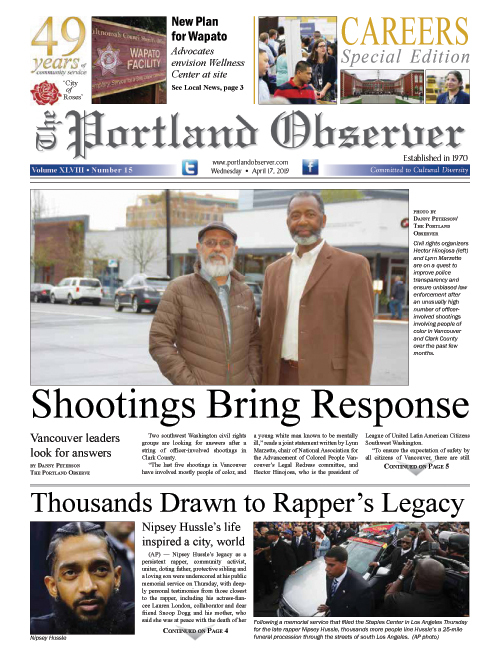 Such support, along with the obvious need to appreciate and preserve Portland’s black culture, led the PDC to approve by a 5-0 vote last month to bring the center to life. The project is backed by three nonprofits, SEI, the Portland African American Leadership Forum and the Oregon Historical Society. SEI and PAALF will serve as the legal buyers of the house, located at 4511 N. Williams Ave. According to a report drafted by PDC Executive Director Kimberly Branam, PDC will provide a $495,000 commercial property redevelopment loan for purchasing and converting the home into a cultural center. The commission will also provide an additional $82,000 grant to support PAALF’s preparation of a business and redevelopment plan, obtaining permits, maintenance, utilities, etc.